An exemption of the customary 20-percent import duty for gemstones and jewelry products, the Zero-VAT program, Business Matching and Online Sourcing programs, as well as other incentives helped attract a large number visitors who came to see the beautiful jewelry and gems on display at the 55th edition of the Bangkok Gems & Jewelry Fair. Organized by the Thai Gem & Jewelry Traders Association (TGJTA), February 24 to 28, under the theme “AEC Showcase: Gateway to the AEC Market,” the 55th edition of the Bangkok Gems & Jewelry Fair (BGJF) offered definite tax advantages for buyers and exhibitors. “Apart from other services and facilities that enabled our visitors to enjoy the easiest business transactions possible, the TGJTA in collaboration with the Thai government unlocked the tax barrier, making the BGJF a duty-free zone for gems and jewelry production,” explained Somchai Phornchindarak, Chairman of TGJTA and President of the Gems, Jewelry, and Precious Metal Confederation of Thailand (GJPCT). Unlocking the tax barrier was a definite incentive for visitors who came from 120 countries to see the products of 3000 exhibitors from Thailand and overseas. In terms of products, Thailand is known as a global hub for colored stones, so it was no surprise that this was the largest category (27.75 percent) at the show, with silver jewelry a close second at 24.87 percent—again understandable since Thailand is the world’s largest exporter of silver jewelry. Gold, pearls, and fine diamonds made up about 23.42 percent, while the International Pavilion accounted for 16.18 percent of exhibitors. Equipment, packaging, synthetic stones and costume jewelry rounded out the total. “The BGJF is like the engine of a train that brings the Thai gems and jewelry industry to the world market,” added Phornchindarak. “This has enabled various Thai gem and jewelry SMEs to grow and become leading brands in the world today. Considering the real sectors of each category in the industry, we are have grown five percent over last year. So, I can confirm that the Thai industry is still very good.” During the fair in September 2014, the industry’s total exports increased 7.16 percent, compared to the previous year, generating over US$7.3 billion. “This is due largely to the high quality products, exquisite craftsmanship and the reliable partnership that Thailand has to offer,” he smiled. The topic on many minds at the show was related to this year’s theme: “AEC Showcase: Gateway to the AEC Market.” When the ASEAN Economic Community (AEC) opens at the end of 2015 (comprised of Brunei, Cambodia, Indonesia, Laos, Malaysia, Myanmar, the Philippines, Singapore, Thailand and Vietnam), Thailand will be well positioned because of the strength of its gem and jewelry industries. “The AEC will be a new market of 600 million people with a very high capacity for the regional gems and jewelry industry,” commented Suttipong Damrongsakul, CEO of the BGJF Organizing Committee. He added that this market would pave the way for sales in Europe and the United States, and expressed confidence that, as part of the AEC, the Bangkok Gems and Jewelry Fair would become a very effective gateway to the world. For the past three years, the BGJF has taken a leadership role in discussions on the impact of the AEC on the gems and jewelry industry by hosting the ASEAN Gems and Jewelry Presidents’ Summit forum. These ASEAN+6 meetings included the ASEAN nations plus six important trading partners (China, India, Japan, South Korea, Australia and New Zealand). Leaders from these regions have been meeting with other government officials and private sector representatives to discuss the challenges facing each country as part of a regional trading block. Among the important issues discussed were cooperation between regional gem and jewelry trade fairs, raw material resources, and sharing of technology and knowledge. One of the major strengths of Thailand is that it is the world’s most recognized manufacturing base for fine gemstones and jewelry. Thai craftsmen have been known for centuries as remarkable creators of bold and beautiful pieces and, today, these beautiful creations are known by the name of Ploi Thai. Representing Thailand’s country brand for jewelry design, Ploi Thai epitomizes high quality and diversified fine jewelry set with gemstones cut, polished and produced in Thailand. A number of outstanding Ploi Thai designs were featured in the Design Pavilion under the theme, “Colorful Ploi Thai: The Spirit of ASEAN,” and some are shown on these pages, among other Thai creations. In addition to its laboratory services, the prestigious Gem Institute of Thailand (GIT), which has been instrumental in the development and promotion of the Thai gem and jewelry industry, also offers training courses in many areas such as gemology, jewelry design, and international marketing. 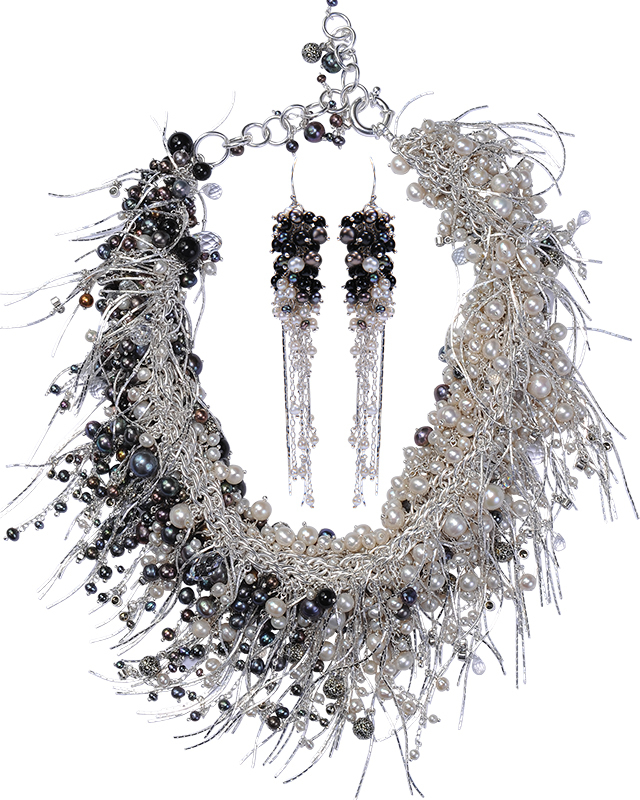 One aspect of promoting jewelry design is their annual competition, which invites entries from around the world. This year, the theme of the 8th Annual Jewelry Design contest was “Battle of Colors; The Design Your Eyes Can’t Ignore.” The first place winner was Suppachai Bua-Ngam for his necklace entitled The Colors of Nature. For buyers wishing to have prospective gemstone purchases analyzed, the GIT conducted a temporary laboratory during the BGJF. Attracting long lines of buyers wishing to reassure themselves and verify their purchases, testing was completed in generally less than an hour, at very reasonable prices. The highly rated GIT, under the directorship of Prof. Pornsawat Wathanakul, is a member of the Laboratory Manual Harmonization Committee (LMHC), made up of the world’s seven leading gemological laboratories. 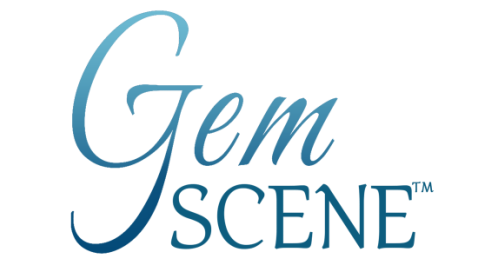 “We provide this service so that prospective buyers can have an extra measure of confidence when considering purchasing gemstones at the show. Of course, we also offer a wide range of services at the GIT lab in Bangkok all year round,” she explained. At the moment, the GIT is also cooperating with partners from China, Japan, Sri Lanka, and Tanzania to establish certification standards for gemstones, especially ruby and sapphire. And speaking of sapphires, the GIT, in association with TGJTA and the GJPCT, organized a special seminar entitled “Blue Sapphire from Phrae Province, Northern Thailand.” According to Dr. Somruedee Satitkune, Department of Earth Sciences, Faculty of Science, Kasetsart University, important gem corundum resources in Thailand have been traditionally located in Chanthaburi, Kanchanaburi, and Sisaket provinces and have been basically depleted. Exciting news, however is that a new gem deposit has been discovered in the Phrae-Sukhothai area, where significant amounts of good quality blue sapphires have been found. Sapphires from newly discovered deposits in northern Thailand. Sapphire, emerald, and gold earrings by Duang Kaew. Turquoise and 24K gold jewelry by Pranda/Prima Gems. gemstones by Than Thong Arts. Silver, gold, and gemstone pendant by Goldlip.